Rosalie’s Quilters meets the 1st Saturday of the month (occasional exceptions) from 10am – 1-1:30pm. Bring a sack lunch. Volunteers sort and match fabric, iron, work with rotary cutters, piece quilt tops by machine, pin quilts, hand-tie layers together with embroidery floss, and bind by machine. Quilts are donated locally to Care Net, a support service for unexpected pregnancies and Children’s Home Society, a support service for children in foster care. 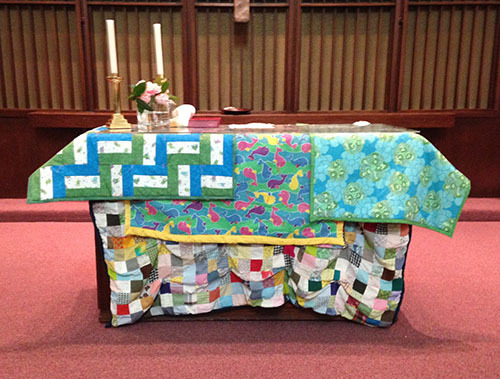 Quilts are also given to each child baptized in our church. 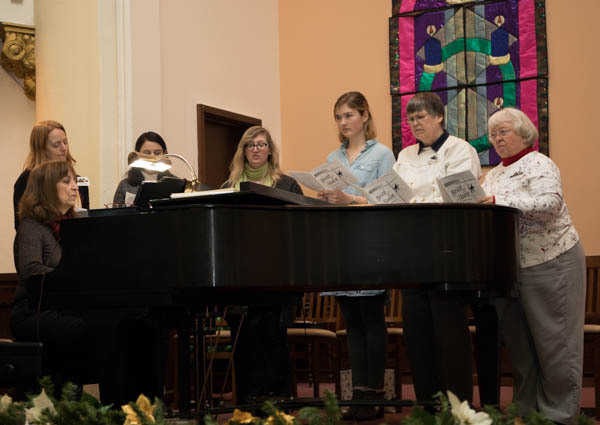 The quilts are blessed by the entire congregation before being donated. For more information contact Kelly Flynt at kellyrogersflynt@gmail.com or Karla Center at CenterKK@aol.com.